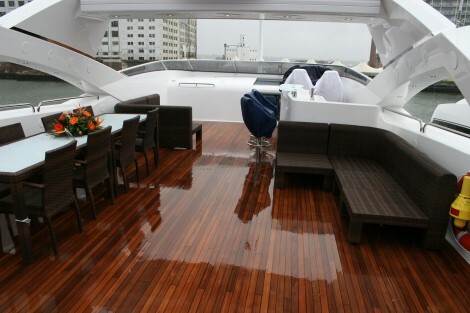 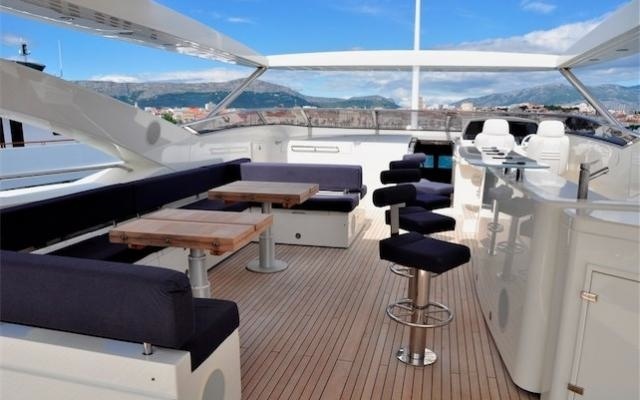 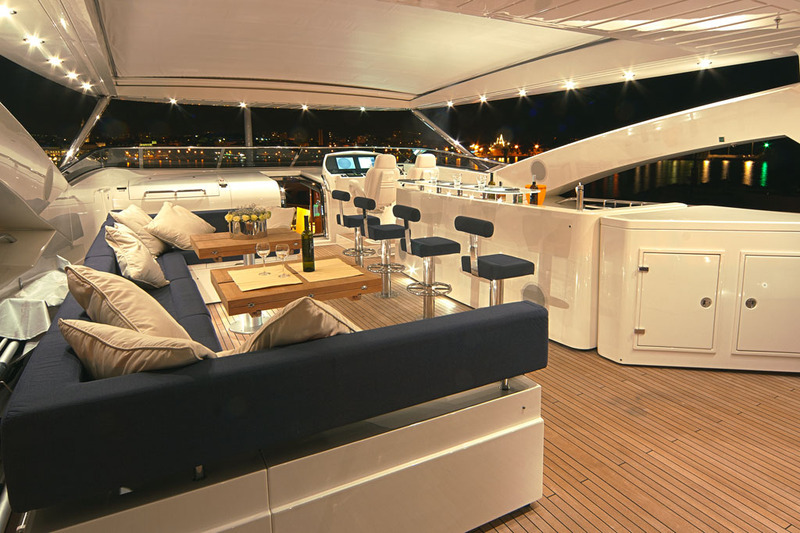 Main Deck : Aft deck dining for 10. 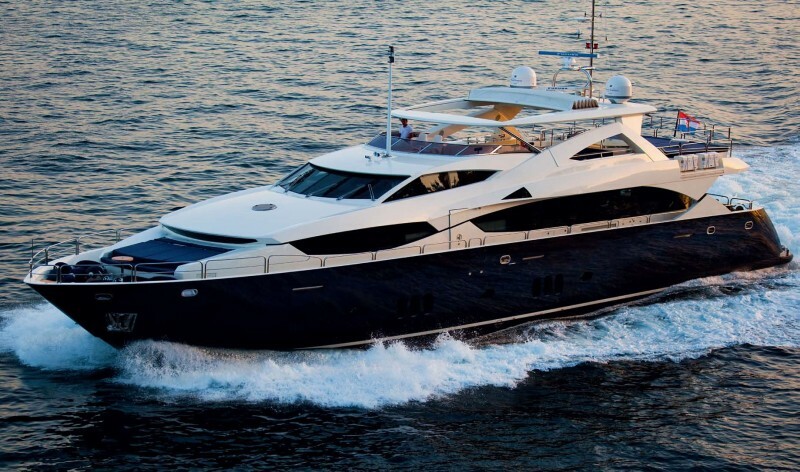 Cassiopeia – Sunseeker 34M, breathtaking yacht, provides luxurious accommodation for up to ten people plus crew, the open plan living areas include a large saloon and dining area adjacent to a fully equipped galley and servery including crew mess which form a natural divide from the forward master stateroom, raised wheelhouse and crew quarters. 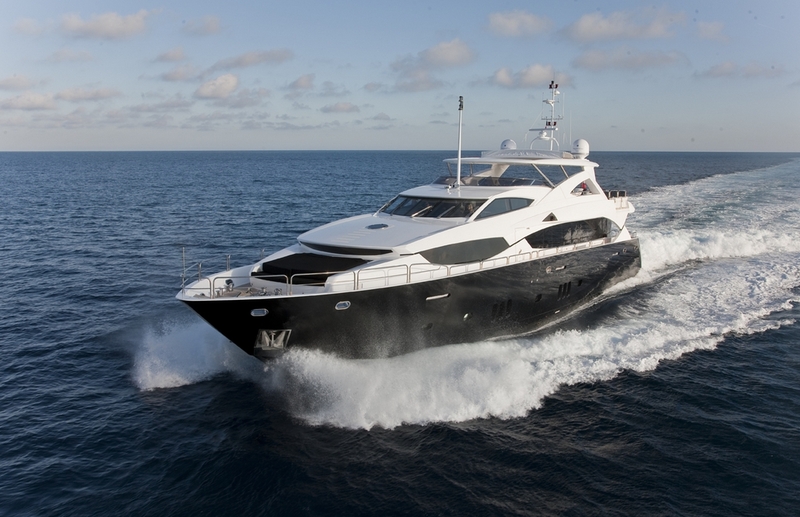 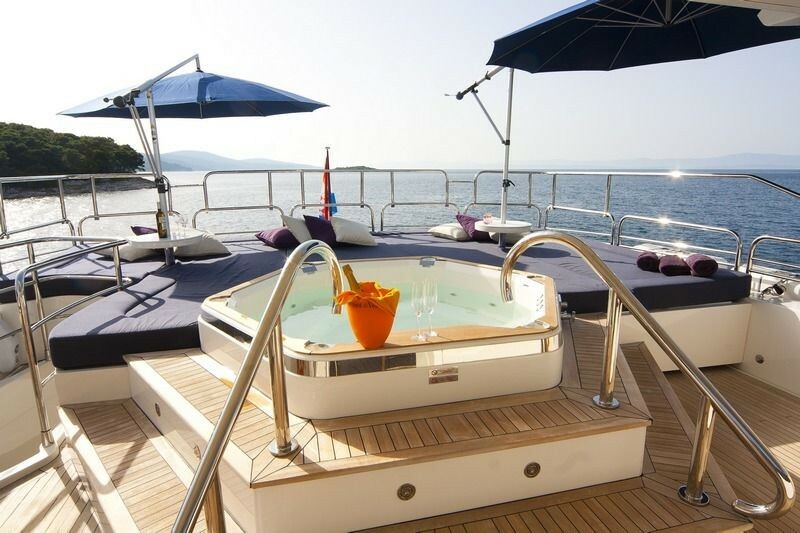 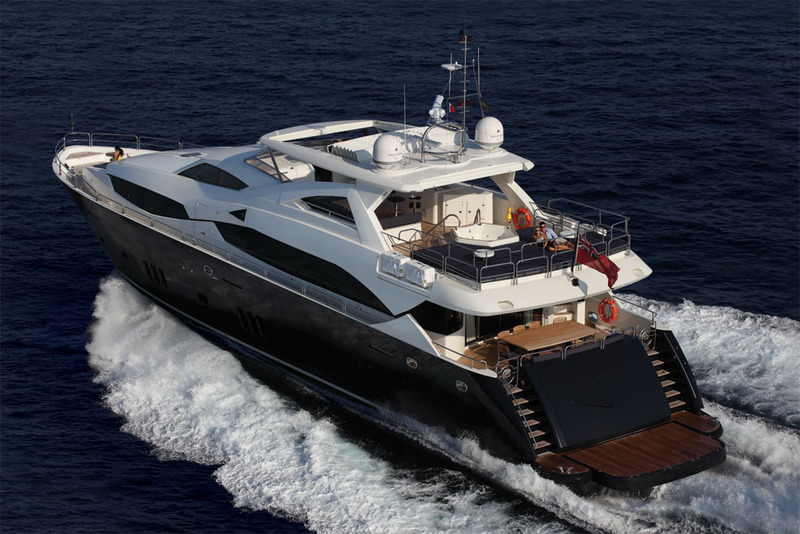 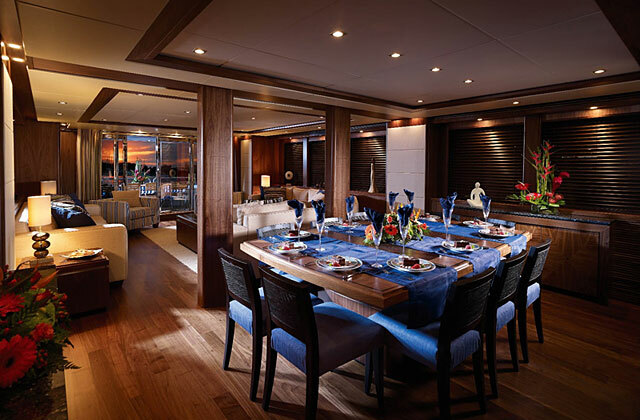 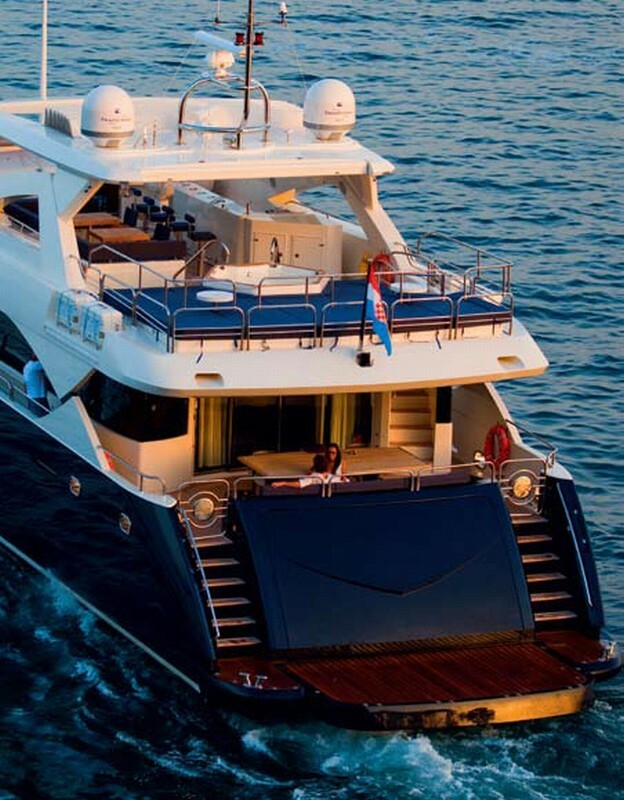 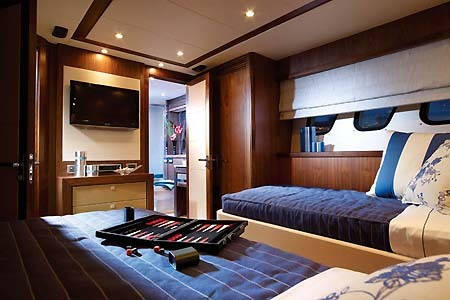 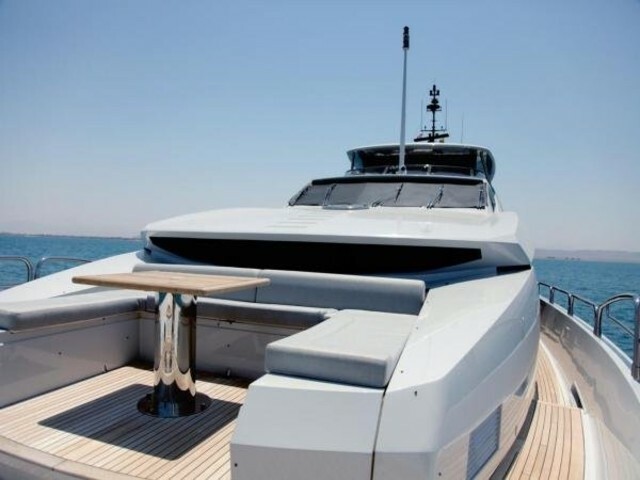 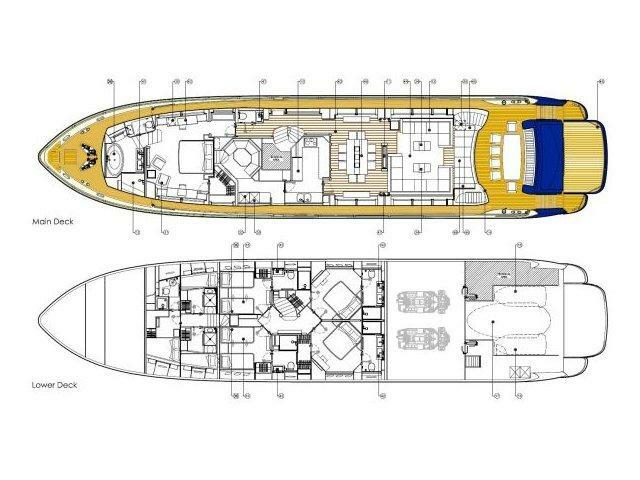 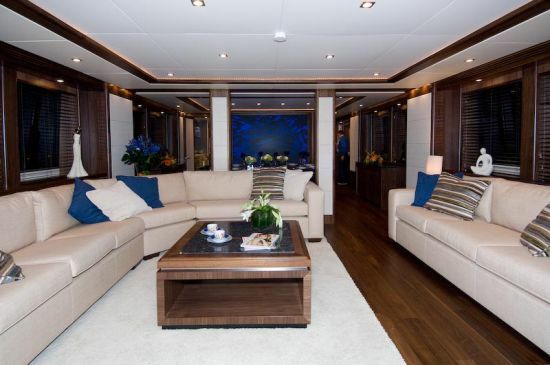 The lower deck includes two generous double VIP cabins and two twin cabins, all offering en-suite facilities and individual entertainment systems. 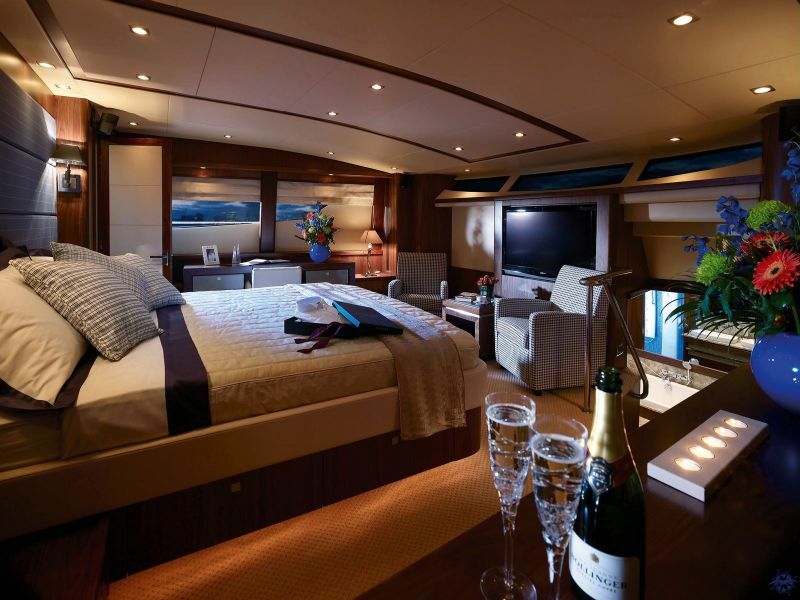 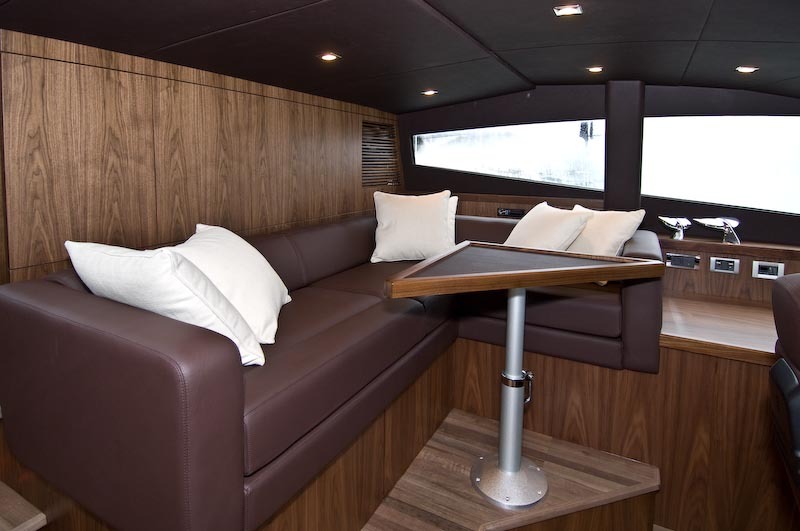 The flybridge affords plenty of seating and sunbathing space with a fully equipped wetbar and the large spa tub, the stern garage offers enough space for a tender.